Learn how to override your default template setting on a per lesson basis. This can be handy if you only want to use a template for a few specific lessons. 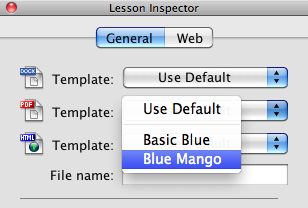 Select a lesson and open the Inspector. You can select a specific template for Word, PDF and HTML. 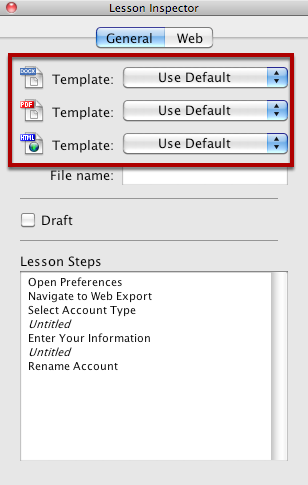 If you choose a specific template then that template will always be used when exporting the lesson. Next: How Can I See Which Web Servers I've Uploaded a Lesson To?